The Labour Party has taken legal steps to avoid paying tax on the controversial transfer of Australia Hall which an architect commissioned by the Commissioner of Inland Revenue had originally valued at €5.5 million, according to court documents. Tax due on the sale of the site in St Andrews, measuring over 6,000 square metres, had already been slashed to €14,426 from an estimated €49,176 by the Inland Revenue Department after the original valuation was reduced to €2 million. However, the PL is insisting it should not pay anything at all because the party is tax exempt. The party has objected to the department’s valuations since last January, arguing the property was worth less because it had been subject to a promise of sale and judicial proceedings, as well as restrictions on development and a political attack. A statement by the Inland Revenue Department dated October last year, shows the PL’s objections led to a revision the value. 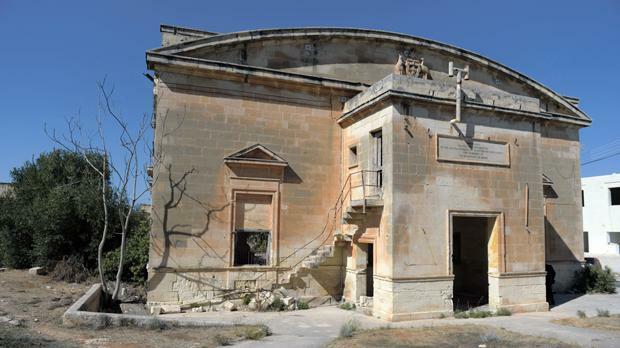 The former colonial building was granted to the Labour Party as compensation for the transfer of land the party owned on the site of the Malta Shipbuilding Corporation. In July 2014, it was transferred to A.H. Developments Ltd. The PL declared the value of the property to be just €582,343. This amount, the Inland Revenue Department insisted, was an under declaration. “The transferor has failed to produce any evidence to show that the value declared in the deed is correct. Under the circumstances, the Commissioner sees no valid reason for discarding the advice obtained by him and confirms his assessment in that respect,” the Inland Revenue Department insisted citing the Duty on Documents and Transfers Act. Yet the PL is arguing in an appeal filed before an administrative tribunal that the party is in fact exempt from paying tax. The PL’s lawyer, Pawlu Lia, cited Article 12 of the laws on Income Tax, which states that the income of political parties, including income from their clubs, is tax exempt. The PL’s argument is that the declared price in the transfer of the property was in fact the real value when taking in consideration all the factors that would influence the market price.